The Love U Lots Baby Girls Infant Swimsuit with Ruffle Flower Design is on sale for $6.50 at Amazon right now. That's 81% off the list price of $35.00! 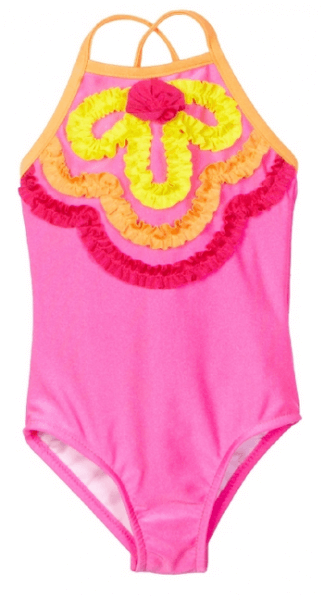 Ruffle applique lends dainty dimension to Love U Lots' Infant swimsuit.